Marco Arlorio, with 25 years of activity in the field of the Food Chemistry, is currently Full Professor of Food Chemistry at Dipartimento di Scienze del Farmaco, Università del Piemonte Orientale (UPO, Novara, Italy); Chair of the Food Chemistry Inter-Divisional Group within the Italian Chemical Society (GICA-SCI, Rome, Italy); Chair of the Food Chemistry Division, EuCheMS (Brussels, Belgium), since January 2015.In the recent past, he was active as Member of the Executive Board of the SAFE Consortium (Brussels, Belgium). Active on teaching at Academic level (Food chemistry; Food biotechnology; Food analysis; Chemistry of functional foods and nutraceutical products), visiting Professor at Food Quality and Design Department, WUR (Wageningen University and Research, The Netherlands) as well as involved in Continue Medical Education in Food Sciences and Nutrition area in Italy. Principal Investigator of many National and International Projects;to date he leads the WP18 “INTELLItrace” (EU Food Integrity Project: https://secure.fera.defra.gov.uk/foodintegrity/), a Project devoted to the food authenticity and traceability. Chairperson or member of Scientific Committees of many International Congresses in food area (EuroFoodChem; CoCoTea series; Pigments in Food; In vino Analytica Scientia). Beside the academic activity, he works as Consultant for Companies in agro-food and technological areas. Main research interests are focused on food quality and food safety assessment, particularly regarding the developing of new analytical methods and new strategic approaches dedicated to the food profiling and food chemical characterization. Principal fields of interests (research): food authenticity and analytical traceability; detection/tracking of hidden ingredients in food (mainly allergens); bioactive compounds in food/food ingredients (particularly antioxidant polyphenols); ingredient design (particularly regarding the valorisation of by-products and food wastes); stability of food ingredients and shelf life; thermal impact and neo-formed compounds in foods. 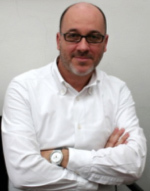 Marco Arlorio (h index: 28), is Author or co-Author of more than 350 scientific products (scientific papers published on Peer Reviewed Journals, Abstracts, Proceedings, Academic Books and Chapters).